Vitamins & MineralsOlimp Gold-VIT A + E - 30 kaps. Gold-Vit A + Ez evening primrose biotin dietary supplement comprising evening primrose oil on the standardized content of gamma-linolenic acid (GLA), as well as vitamins A and E and biotin. Gold-Vit A + E - biotin from evening primrose and dietary supplement comprising evening primrose oil on the standardized content of gamma-linolenic acid (GLA), as well as vitamins A and E and biotin. Evening primrose oil helps in maintaining a healthy, flexible and delicate skin. Vitamin A plays a role in the specialization of the cells and helps to maintain healthy skin and maintain normal vision. Biotin in the form of innovative pellet, helps to maintain healthy skin and hair. Wit. E as a natural antioxidant helps protect cells against oxidative stress. 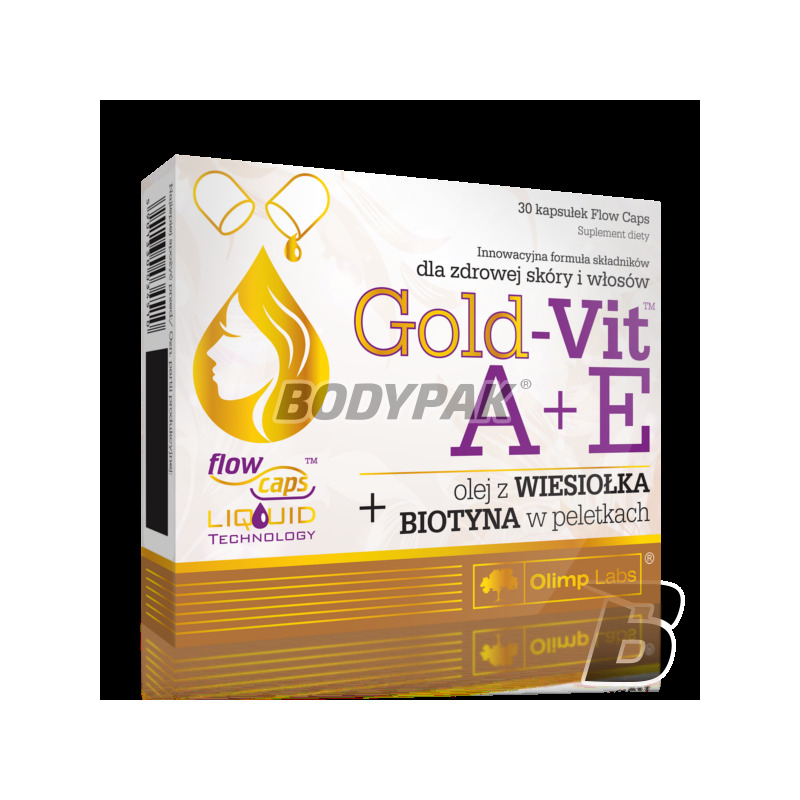 Preparation Gold Vit A + E, evening primrose and biotin is contained in capsules designed innovative technology Caps Liquid Flow Technology ™. It is the most advanced technology guaranteeing maximum fluid rapid absorption and high bioavailability of active ingredients. NOW Foods Zinc Gluconate 50mg - 250 tabl. UNS Iron Plus - 90 kaps. High quality iron with the addition of vitamin C, B12 and folic acid! It supports the process of deciding blood, improves the functioning of bone marrow, supports healing of wounds and affects the condition of the skin. Comprehensive preparation for the most demanding!